Not sleeping well through the scorching summer nights? It can be difficult to sink into a tranquil night’s sleep when temperatures are high, and if you do not have the right setting or bedding, it can feel impossible. When it is 90 degrees Fahrenheit (32 Celsius), and the sun is pounding on your house and windows all day long, bed sheets can feel sticky and clingy the moment you hop in. Even with a fan or an air conditioning system, sweat can appear in every corner of the bed. With that being said, we’d like to propose the best sheets for summer, or a hot climate, and a few other tips to help you achieve cool sleeps (when everyone else is tossing, turning and sweating under their covers). 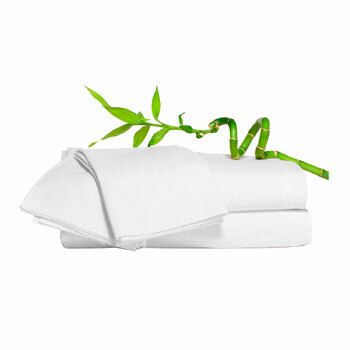 People perspire when they sleep and bamboo sheets breathe extremely well. They absorb moisture and wick off the dampness. Synthetic fabrics don’t breathe as well and encase you in your sweat. They get clammy and moist, and are not recommended as an ideal summer bed sheet. TIP: A decent test for the absorbency of any fabric is to envision utilizing it as a cloth to clean windows. You will learn in a second, that polyester or any synthetic fabric, doesn’t ingest dampness well whatsoever, and neither does cotton if it has been coated with resin. Clean bed sheets against your skin on a hot night feel the absolute best (we’d all concur, that grimy sheets on a hot night are a horrible combination)! To keep sheets as fresh and new, for as long as possible, hang sheets on a line to dry (we are going to assume that there are no pesticides blowing in the wind, in your particular neighborhood). As far back as Egyptian and Greek times, individuals utilized lavender, rosemary, tansy, and different herbs to keep their beds smelling good. The scent of lavender and mint was very common in homes. Here is a basic video by Martha Stewart, to “sweeten” your bedding with Lavender Linen Water, and in the event that you aren’t sensitive to oils, you can use it all over your home. Before slipping into your sheets, we recommend taking a cool shower or bath. By washing off the day’s sweat you will start the night on the right note. Your skin will feel extraordinary against your bed sheets.